If the idea of hosting a bash stresses you out here are 10 top local tips to throwing a Gatsby-level soiree. The summer wedding and party season is descending and with it comes the desire to enjoy these longer evenings with a little drinks bash. I had hoped that by my ripe old age I would be more than capable of knocking out a few dinner soirees with glamorous friends, chinking glasses of champagne and giggling the night away. Somehow the Martha Lane in me has yet to emerge and more often than not I end up as a piddled host who’s knocked back too many glasses and burnt the main course. In a recent survey a quarter of those questioned said that throwing a dinner party was more stressful than going for a job interview. If you’re planning a summer bash or thinking ahead to winter parties then here’s the top list of people around Muddy Cambs who can help you get through it without a nervous breakdown. 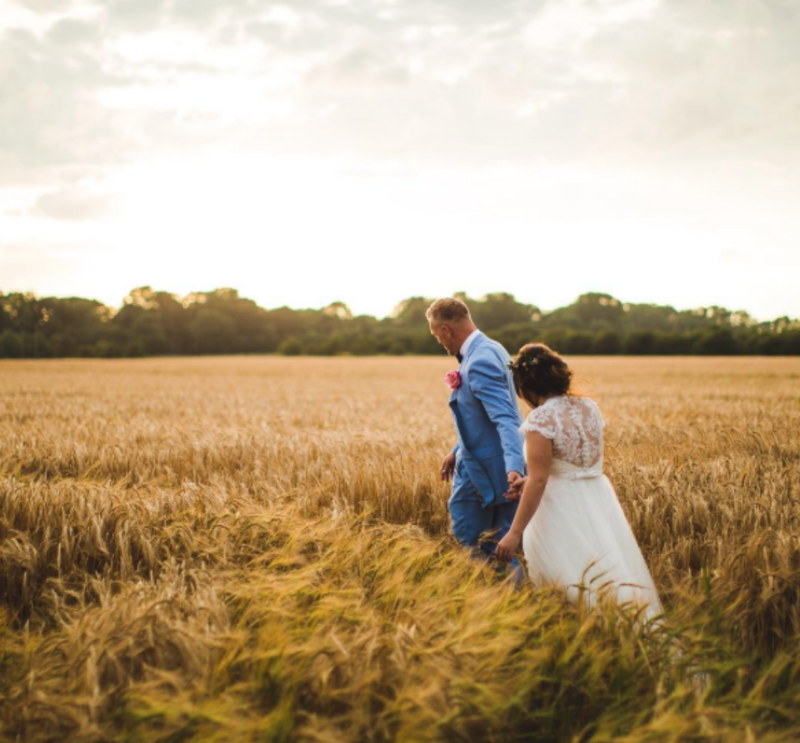 Experts will tell you that planning a large bash or wedding shouldn’t be stressful or intimidating but it’s fair to say that there’s far more to it than picking a date and a venue. Fortunately, you don’t have to attempt to do it all yourself (unless you really want to) and if you’re looking for sometime to take the pain then Rocks and Frocks wedding and event planners can help with small intimate affairs to large extravaganzas. A relaxed, happy host pushes that vibe onto their guests so consider getting in contact for a free consultation. 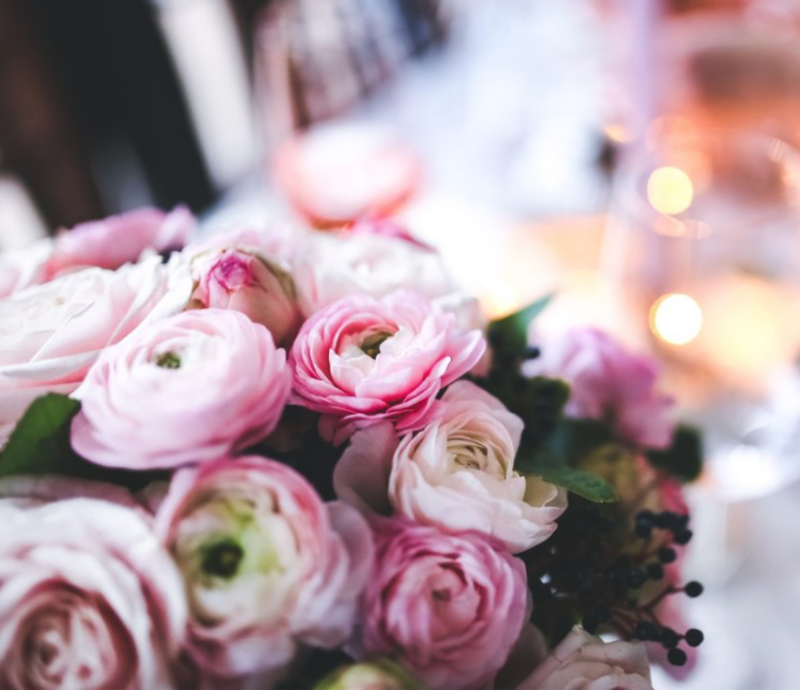 It is amazing how something as simple as flowers can drastically enhance the look of a room. Whether it’s a small bunch of flowers in a vase, in the corner of a room, or something more dramatic they add colour to any party or wedding, plus they give a good whiff too. Pick a Lily in Kimbolton take their flowers seriously and can help with events both large and small. They also have a wedding prop hire if you’re looking for large olive trees outside an entrance, milk churns and bikes, or crystal candelabras and large lanterns. Fireworks are a perfect way to add some dazzling sparkle into your event and they look good regardless of the time of year. Though there are regulations to consider a reputable company will have that covered so you can just sit back and ‘ooh’ and ‘aah’. Titanium is the rather swish firework company that are responsible for the impressive displays at the London 2012 Olympics, Glasgow Commonwealth Games, London New Year’s Eve and Edinburgh’s Hogmanay so you’re getting the best. Don’t be intimidated by that impressive bio, when they’re not swanning around at these flashy events they provide fireworks for wedding and parties, whatever the size. They are locally based in Alconbury and are totally obsessed by everything that goes bang. With the British weather not always playing ball the need for cover even in the summer months is a sensible idea. 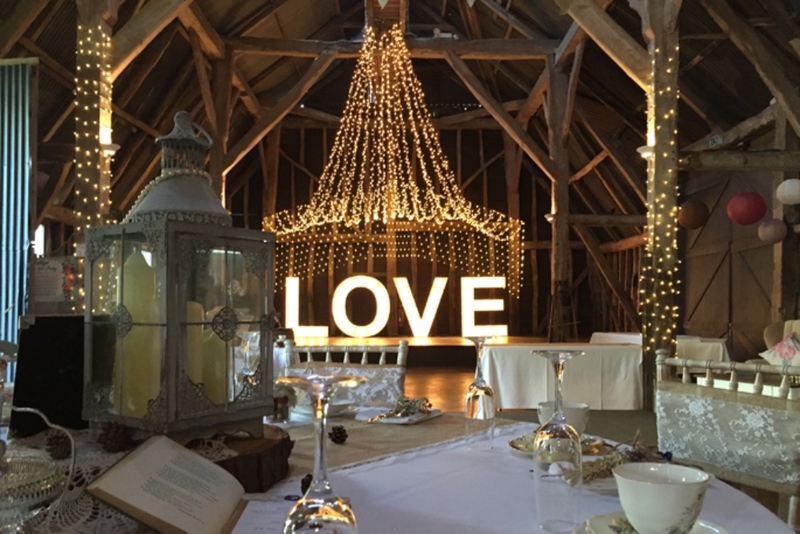 There are so many options these days and if you’re after a traditional marquee Sawtry Marquees are the people to contact, they also hire furniture if you’re short of tables and chairs. However with the festival theme taking off in a big way I’m going to be ringing the Cambridge Tipi Company for my next summer bash. 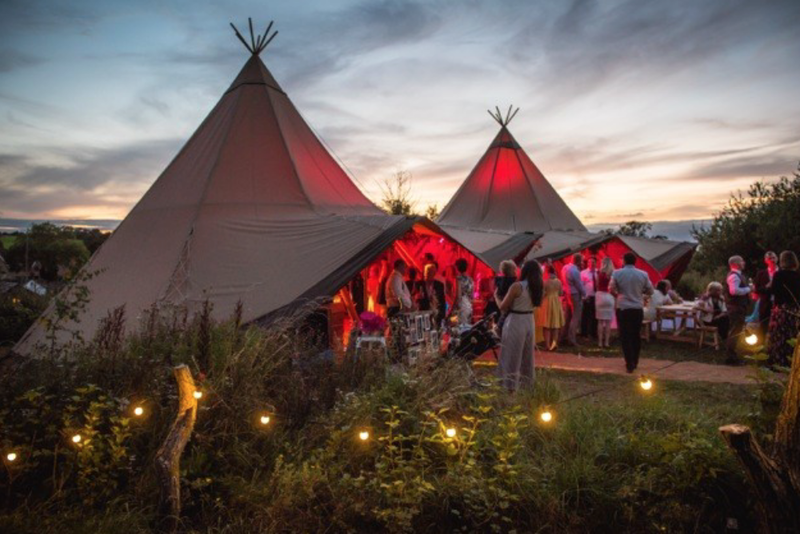 Their giant hat tipis can be linked together with the sides raised or lowered depending on the time of year – they are light and airy in summer and cosy in winter and come with wide range of furnishings if you’re creating a certain theme. Food is an absolute must if you want to avoid people face planting in the flowerbeds by 9pm. I’ve been to several parties the past few years where mobile street food vans have played a role and there is plenty of choice in Cambridgeshire. Check out Cambridge Foodpark, a collective of top quality local street food traders most of which will travel to events within Muddy Cambs, and neighbouring counties also. If you’re looking for outside caterers The Mermaid Ellington is a pretty gastropub in the village of Ellington, just west of Huntingdon who can provide food for events and parties – check out my Muddy review. The food is beautifully presented and deliciously moreish – elasticated trousers at the ready then! An alternative to serving puddings is to have your very own ice-cream van. It’s ageless in its appeal so whether you’re planning a school event or a grown up bash having Sweet Ally Scoops rock up in her vintage ice cream van will certainly give street cred. The ice cream is handmade by Jack Van Prang a Cambridge based Gelato maker who uses ingredients sourced from local suppliers and Jack’s own allotment. The initial WOW factor sets the scene for any event and what better way than with 5ft tall illuminated letters. With the whole alphabet available the possibilities are endless – personalised initials, a surname or company name or various words to encourage all kinds of debauchery and excess. Illuminated Letter Hire will deliver to anywhere in Cambridgeshire and beyond. Afternoon tea is a moment of frivolous indulgence, an antidote to the daily grind. 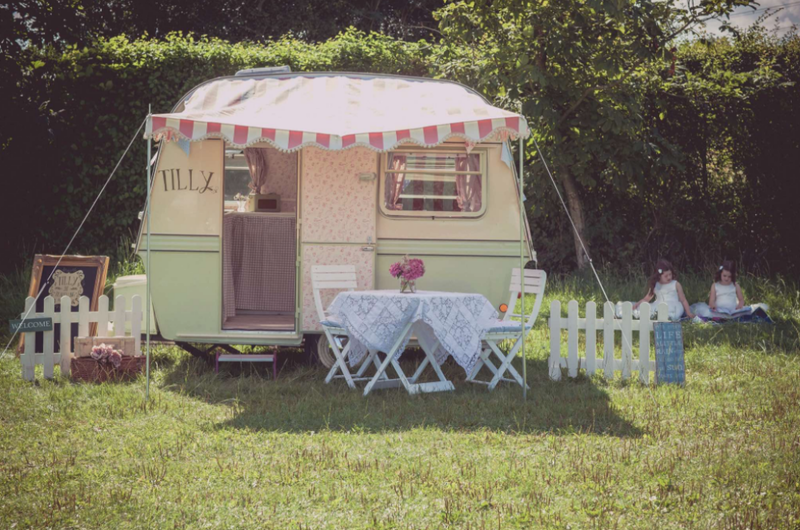 Give Betty Crocker some time off and contact Tilly the Travelling Tea Room – a 1960s Thomson Mini Glen caravan who’ll turn up laden with doll sized cakes, crustless sarnies and load bearing scones. There’s nothing like some dancing to get a party started. Crank up the Sonos and get mom-dancing in the sitting room or if you’re going big you can’t beat live music to get the dance floor pumping. 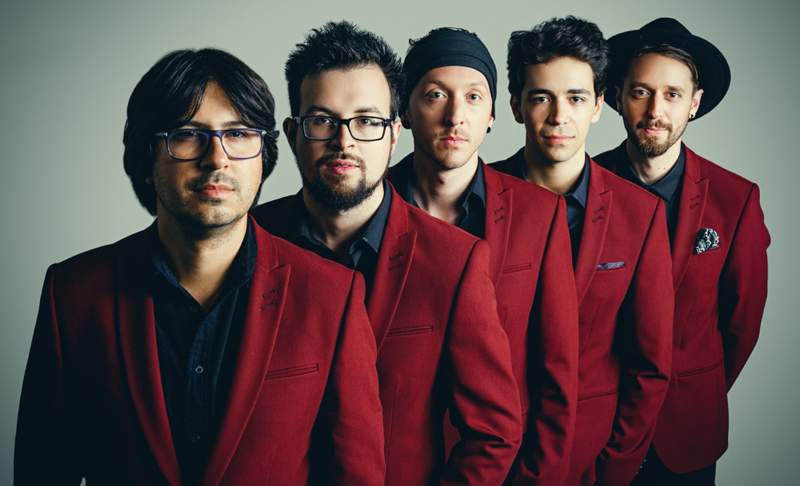 Take a listen to Swagger, a 5 piece function band from Cambridge who’ll play covers of the best funk, rock and cheese from every decade so you can show off your running man moves. This is party planning for stressed busy parents. 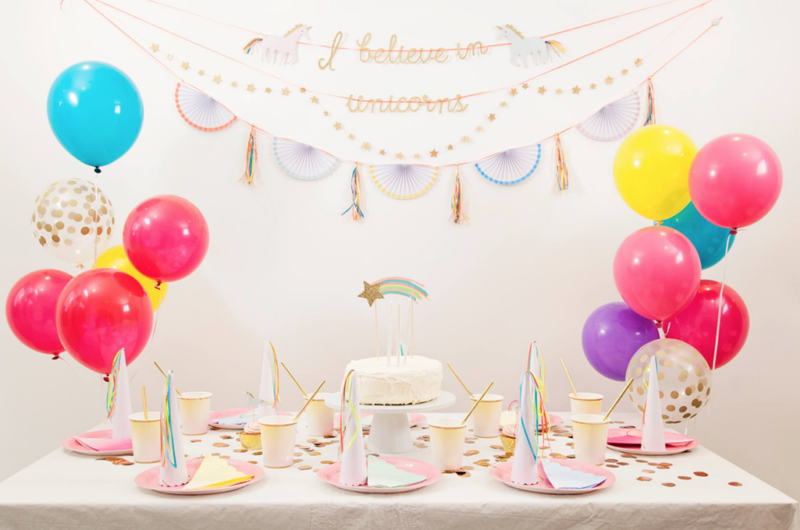 Blossom & Bow provide everything you need for your child’s party – in a box! With themes such as Ahoy There, Once Upon a Time and As Cold as Ice the magic box contains table covers, decorations, straws, balloons, candles napkins and more – all you have to do is chuck it on the table. It might seem a luxury but having someone to look after the drinks allows you to mingle with your guests and ensure you’re not running a dry house. Whether it’s an intimate dinner party of a party for 100 Thirst First provide a bartender service to make sure everyone has a great night and those that want to be ratted – are! Take it one step further and introduce a mobile cocktail bar to entertain or a gin bar with over 20 different gins to taste. With all that covered all you’ve got to do is choose a jaw-dropping outfit, slap the warpaint on and be the hostess-with the-mostess. If you think I’ve missed anything off this list then do share in the comments box below. We all love a good party and the more knowledge – the better the bash.